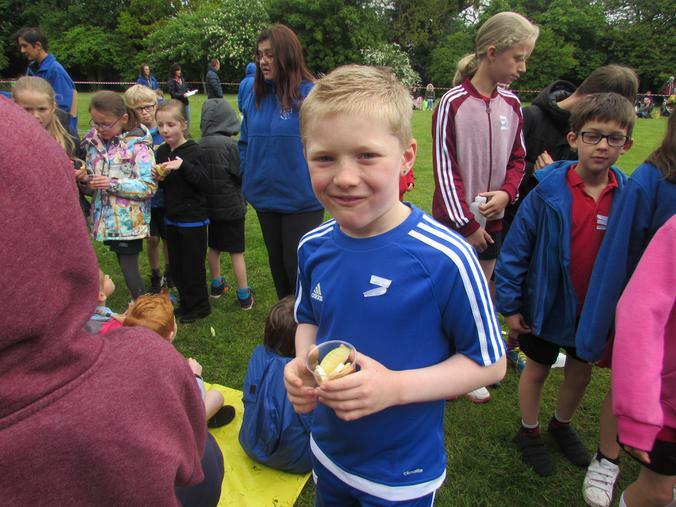 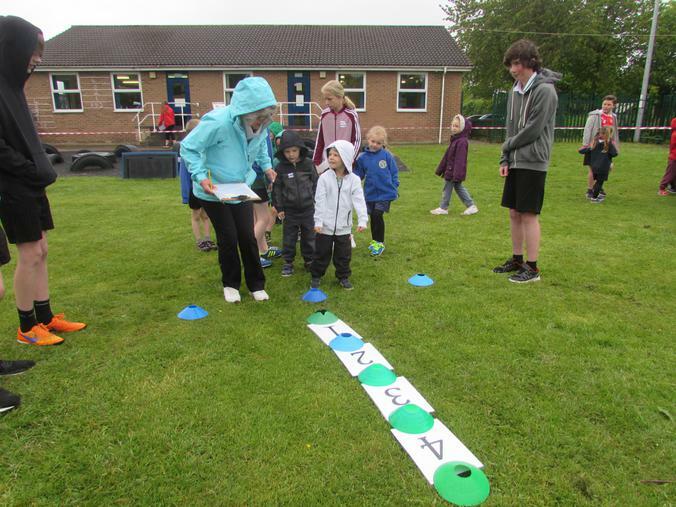 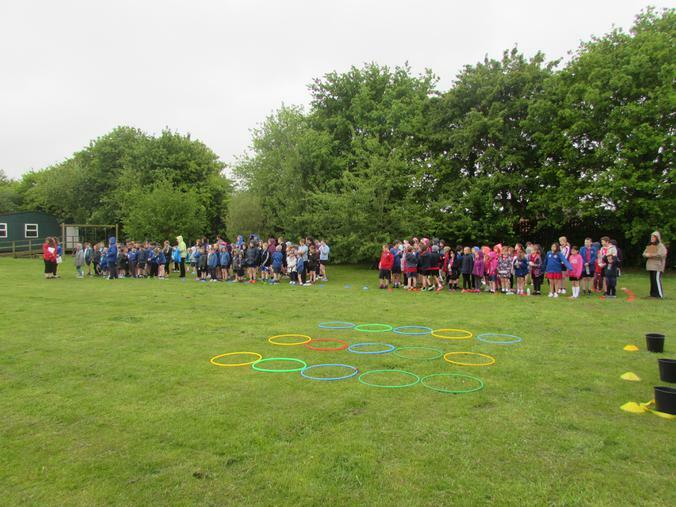 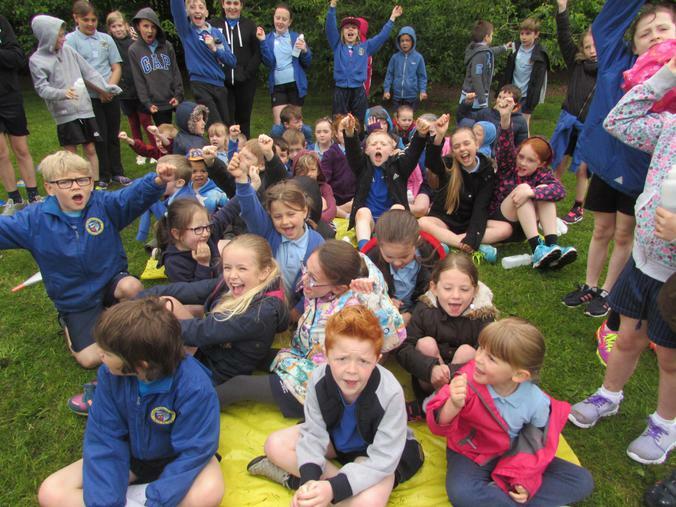 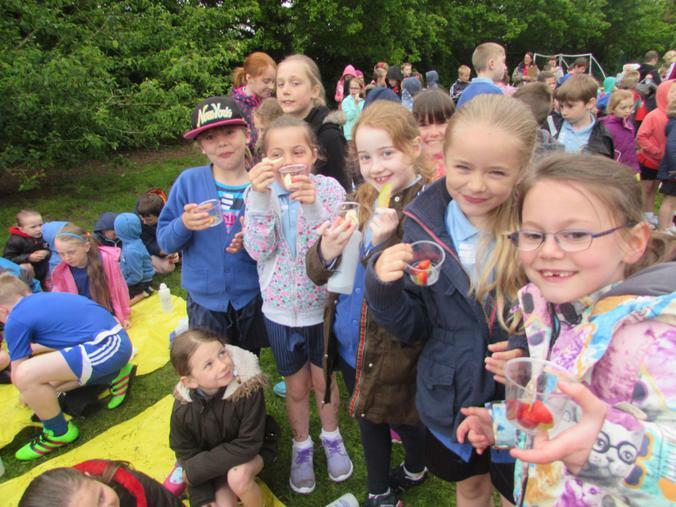 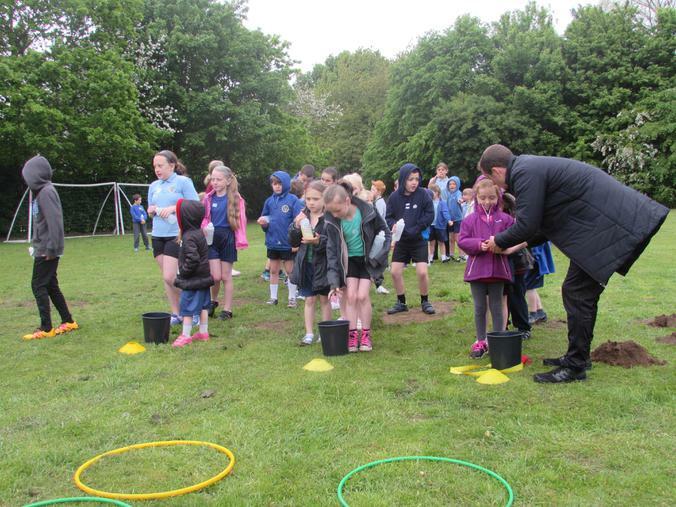 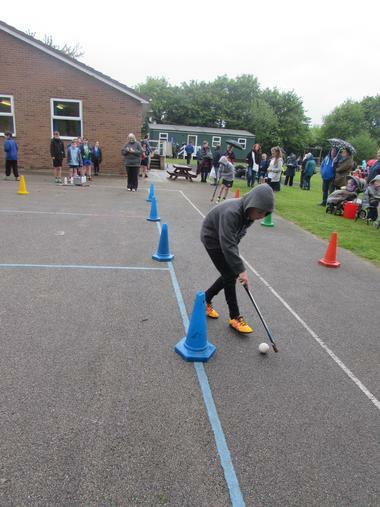 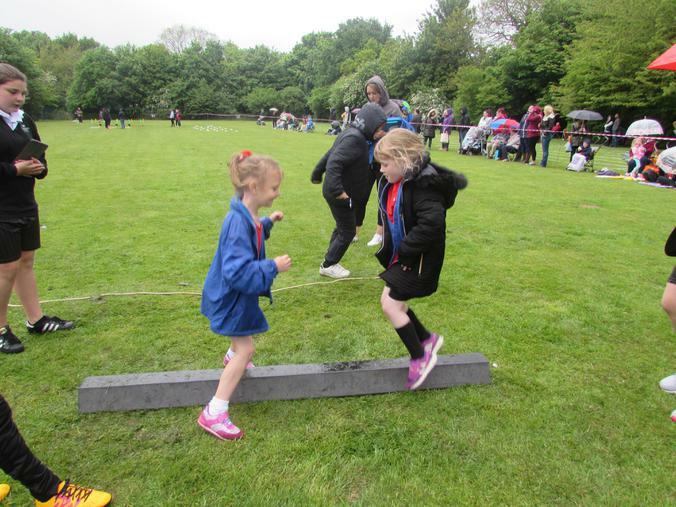 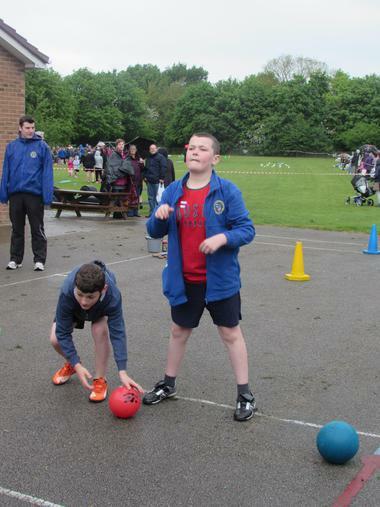 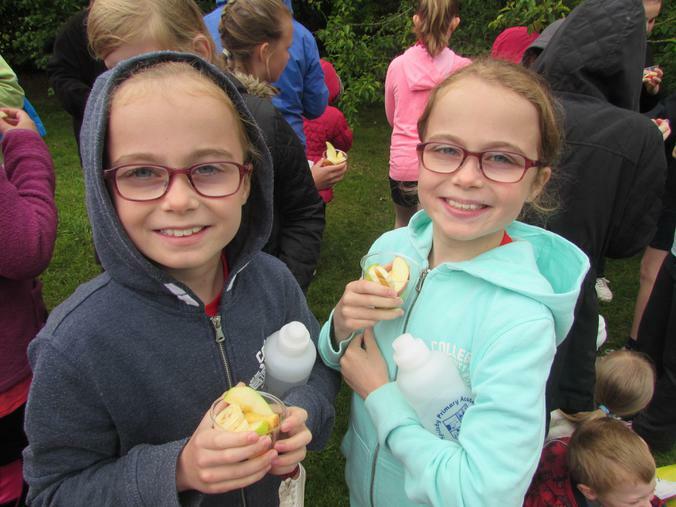 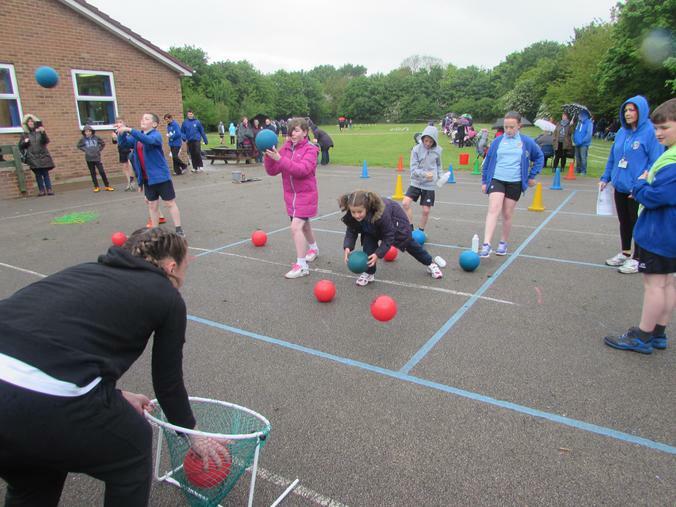 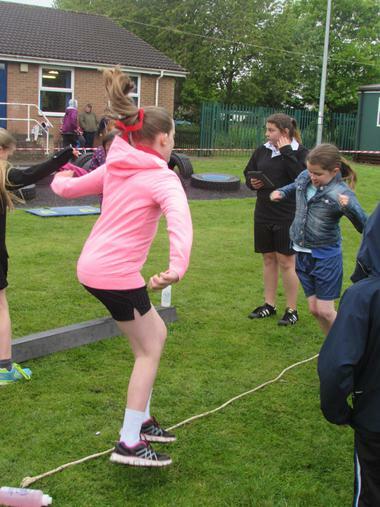 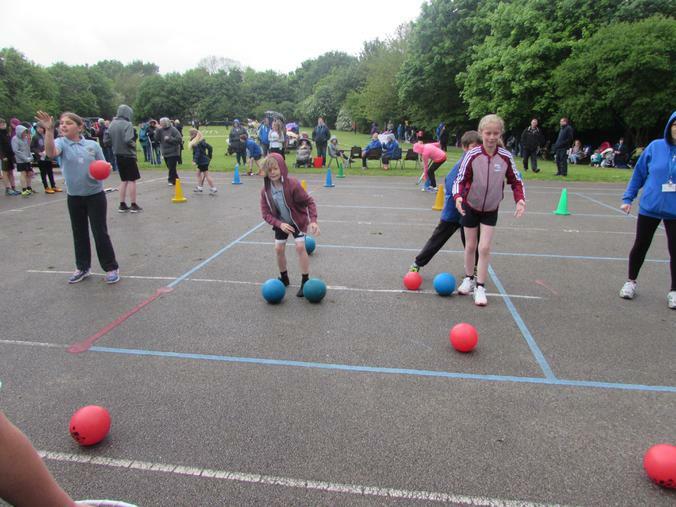 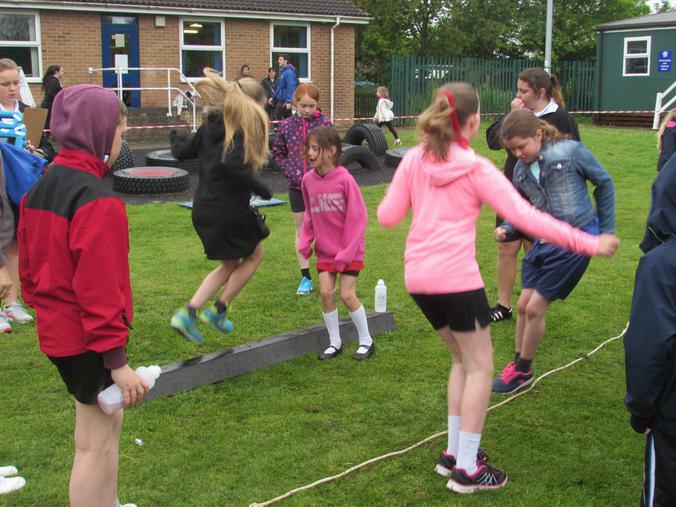 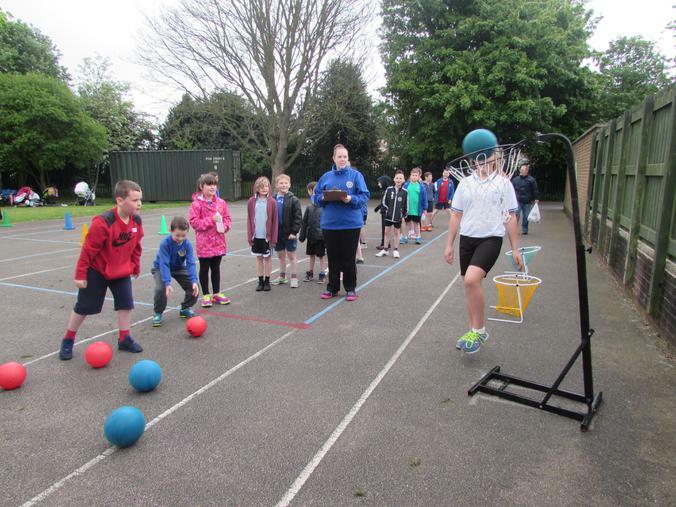 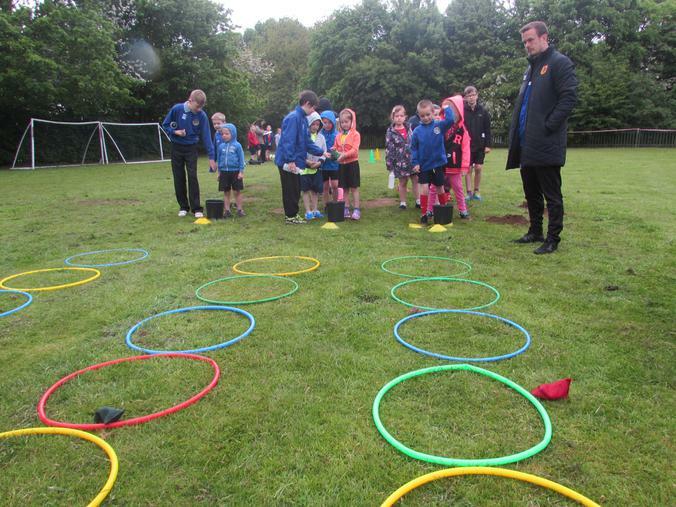 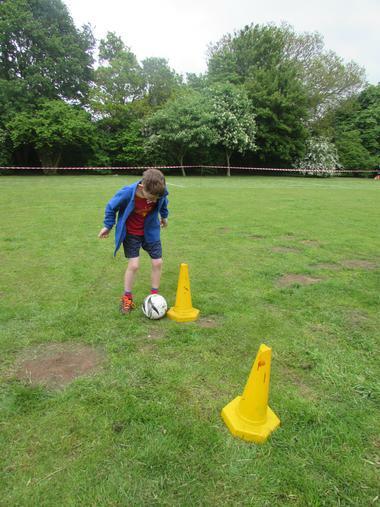 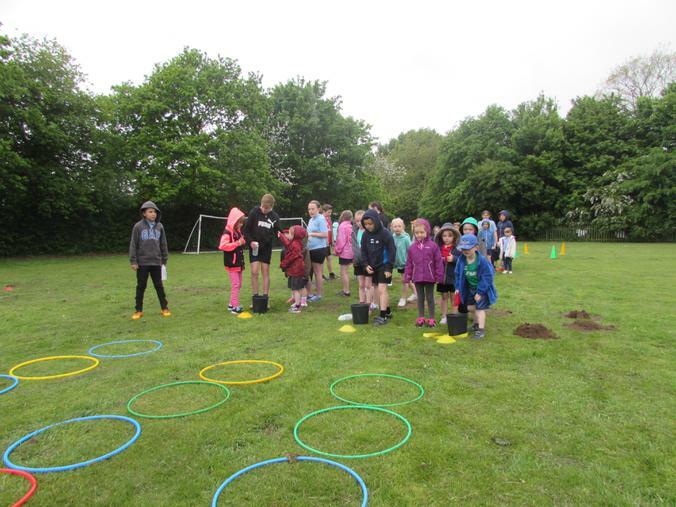 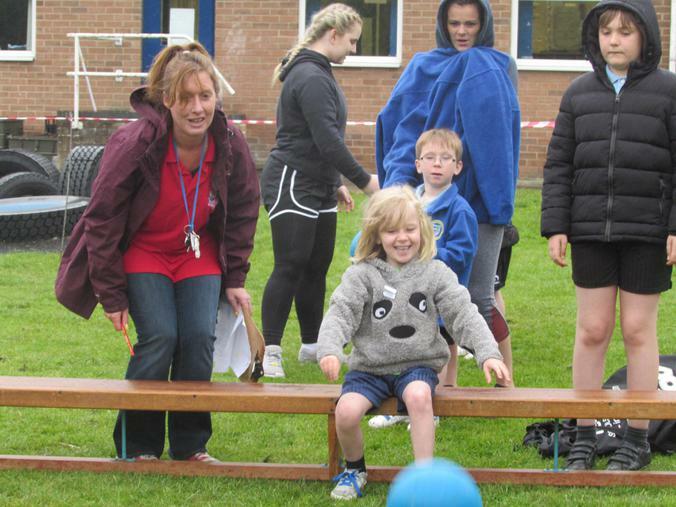 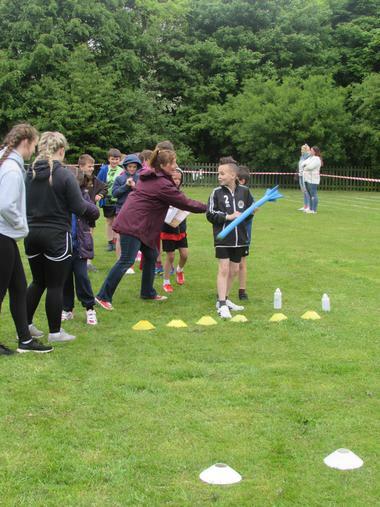 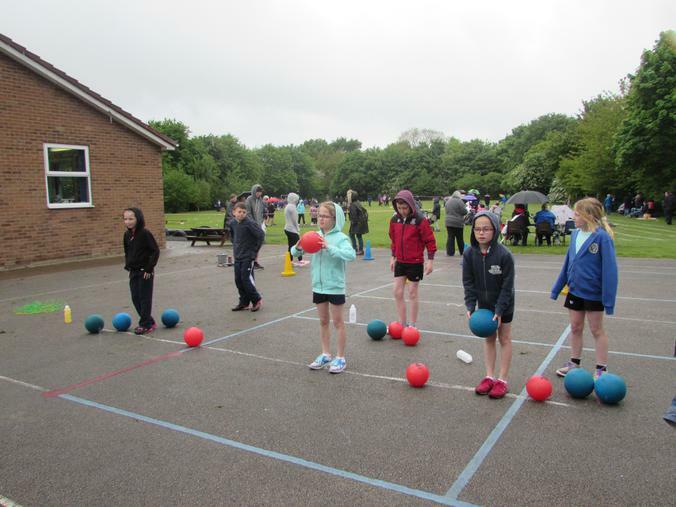 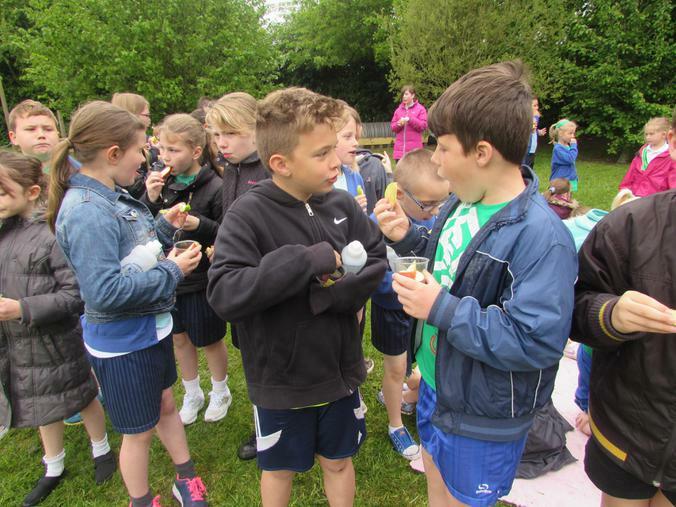 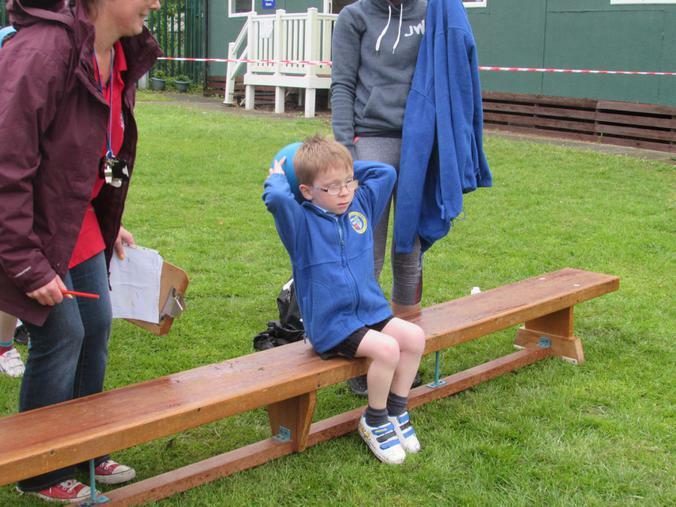 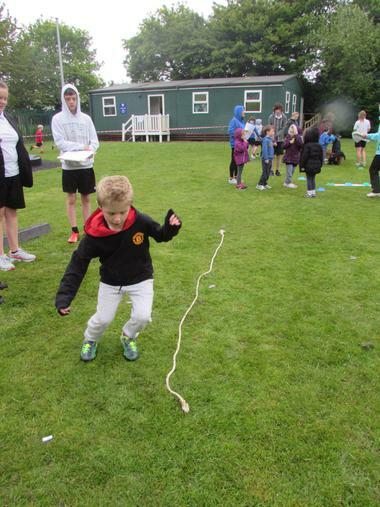 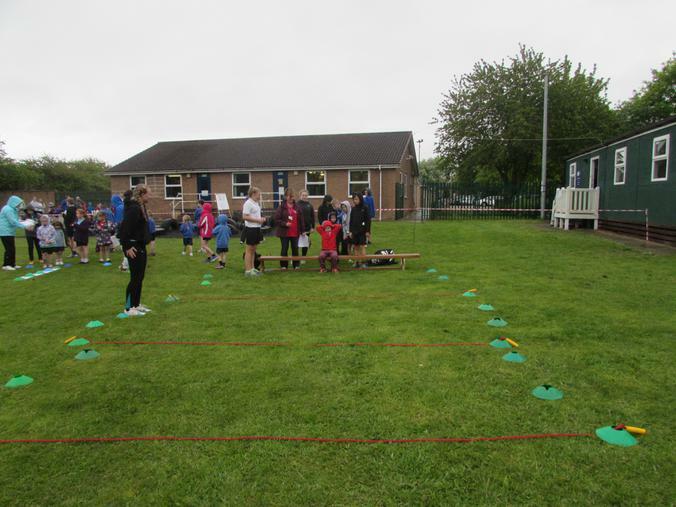 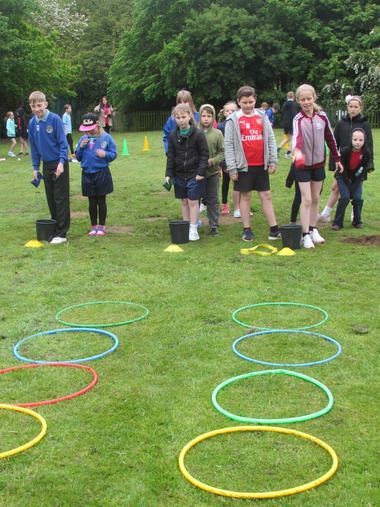 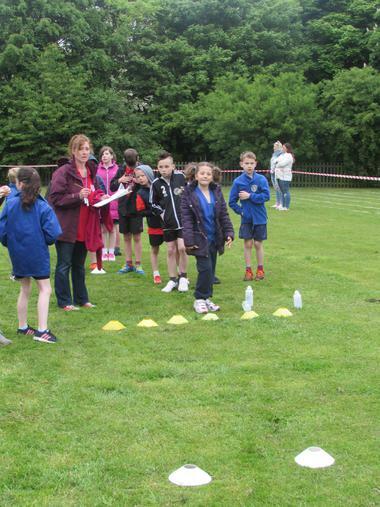 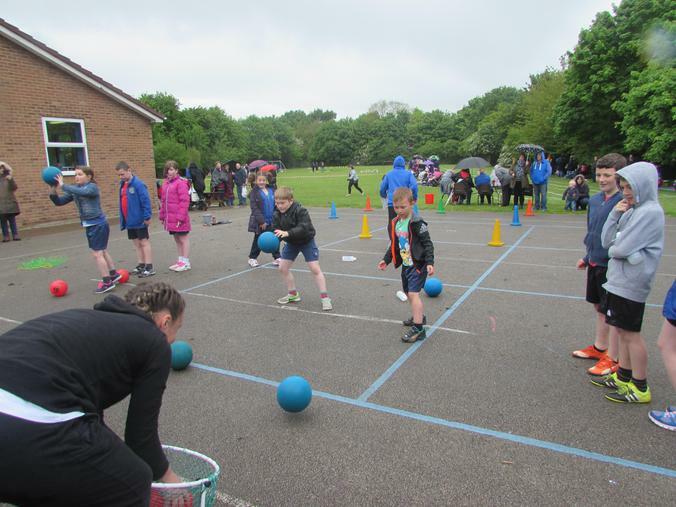 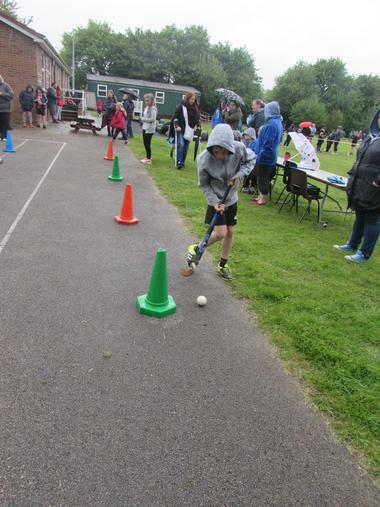 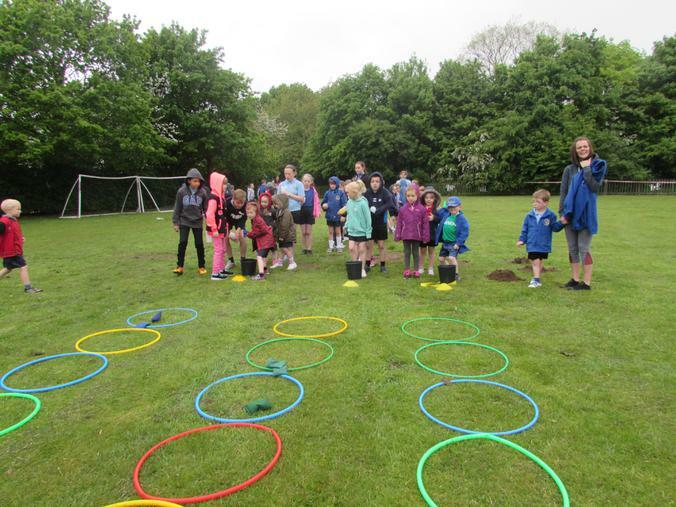 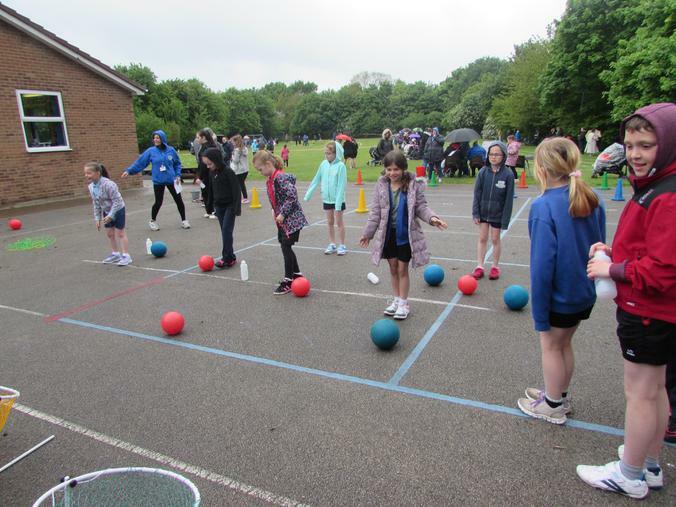 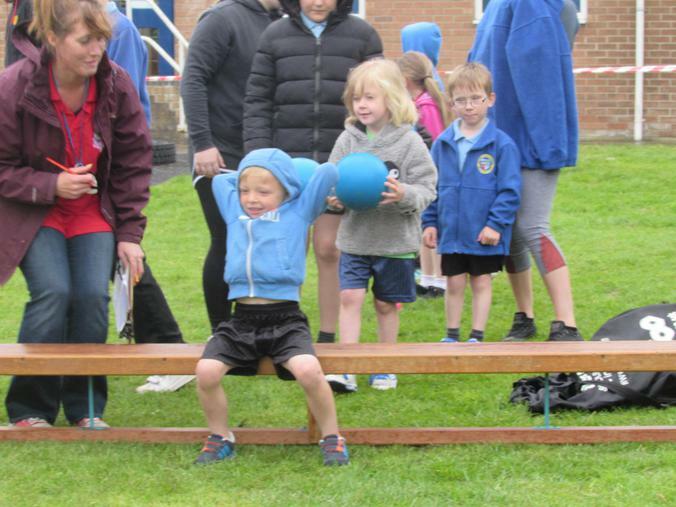 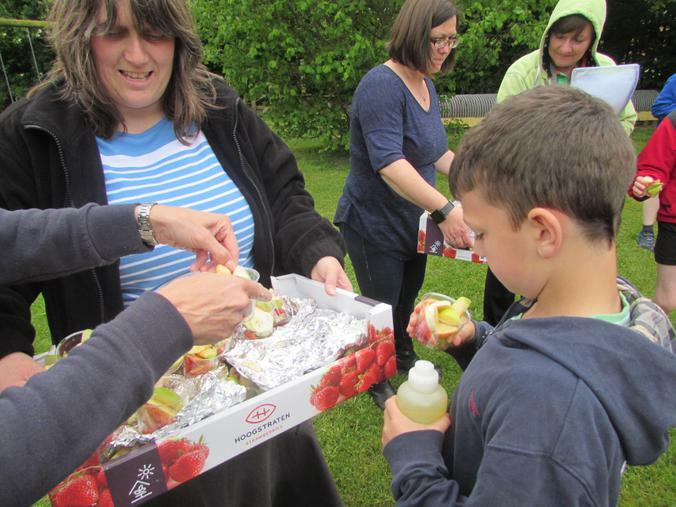 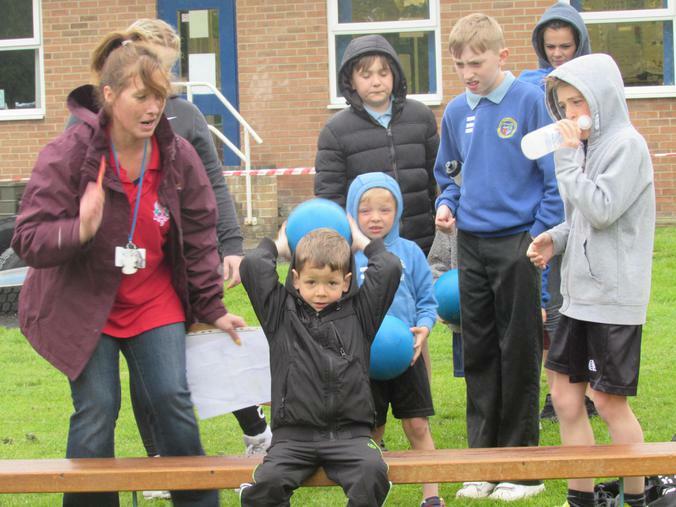 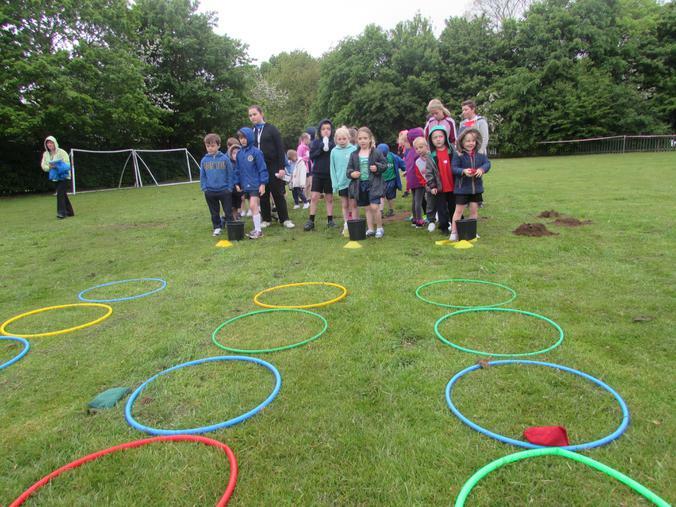 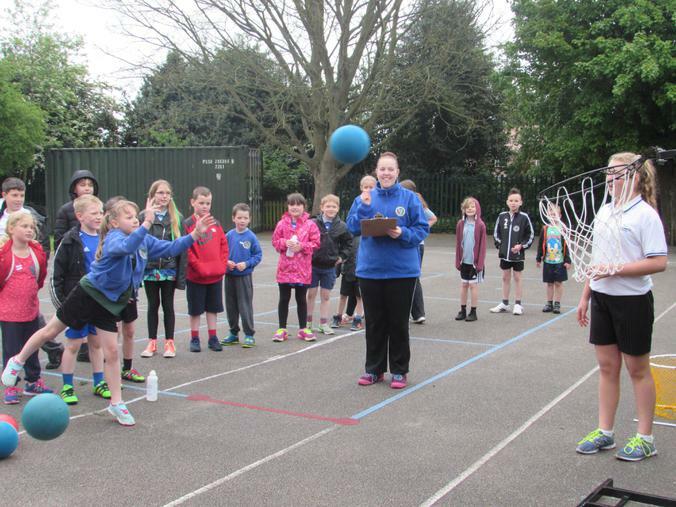 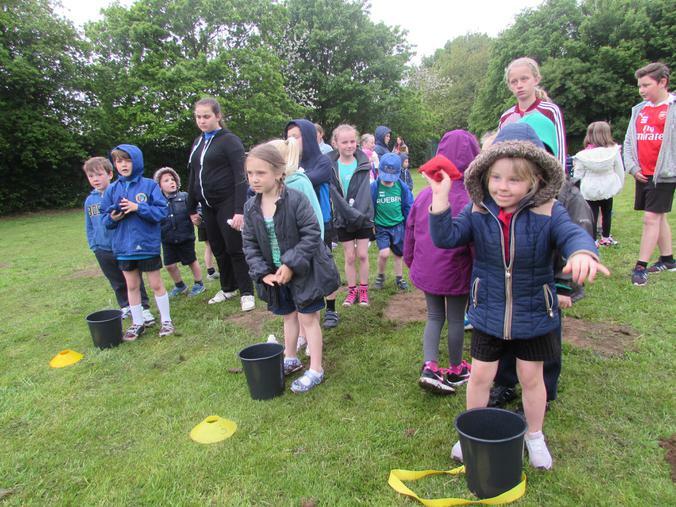 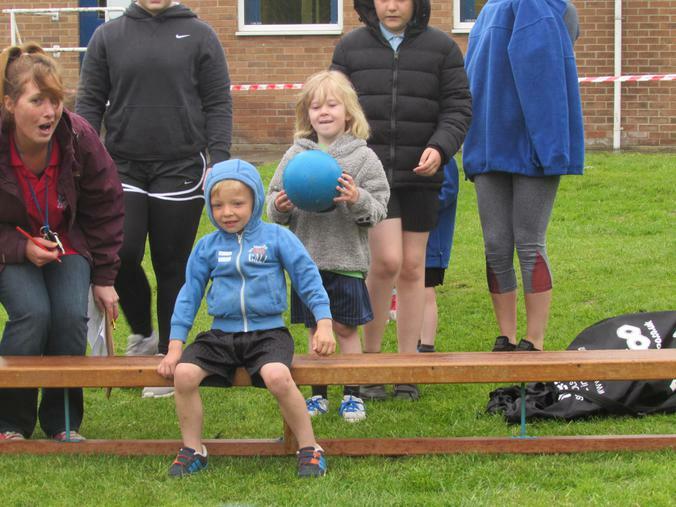 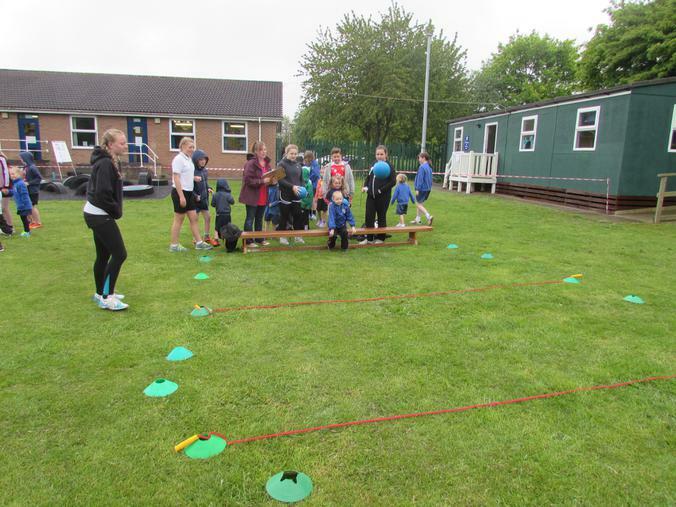 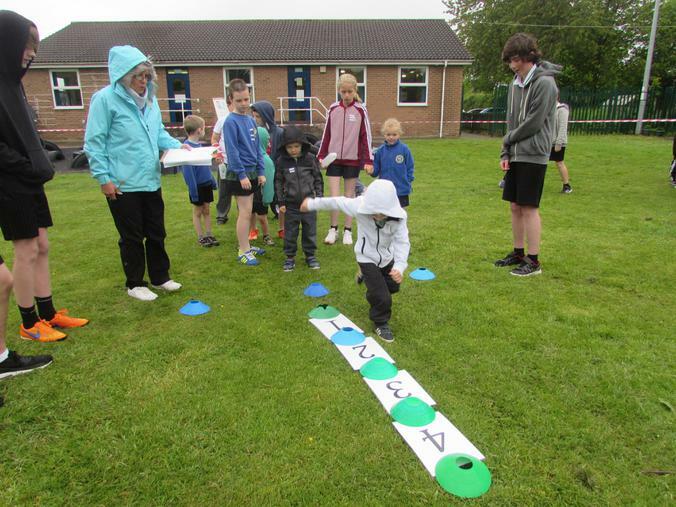 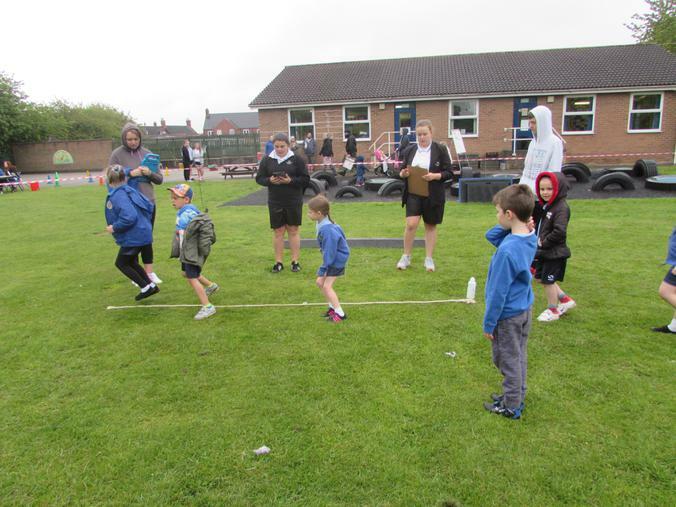 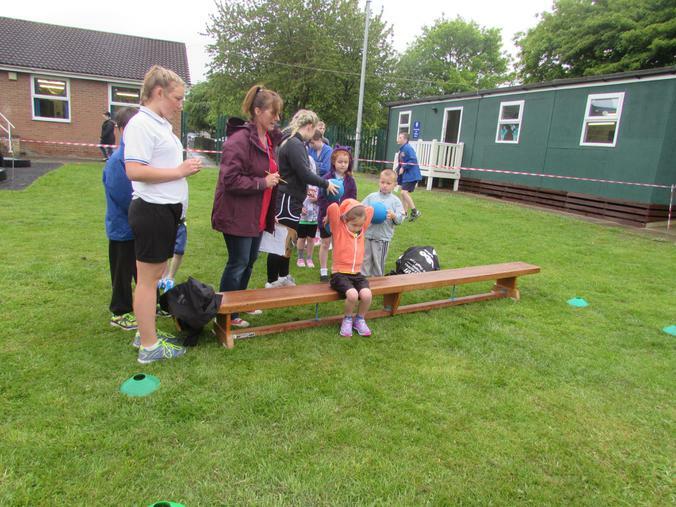 Our school sports day was different to all other years with an array of events planned for the whole day for all the children with a picnic lunch. 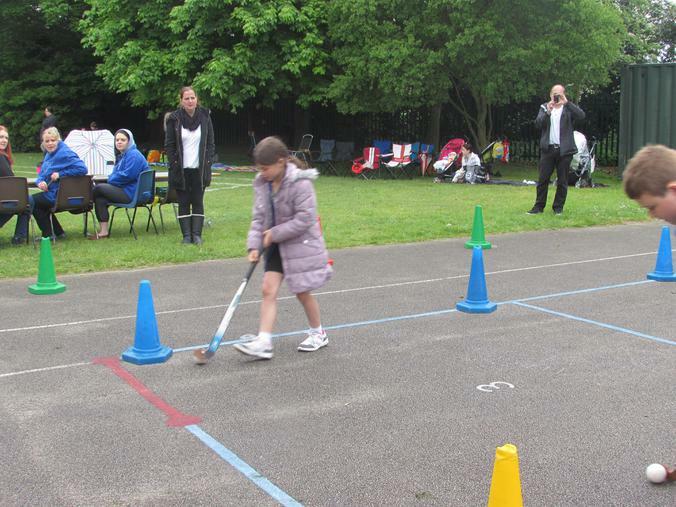 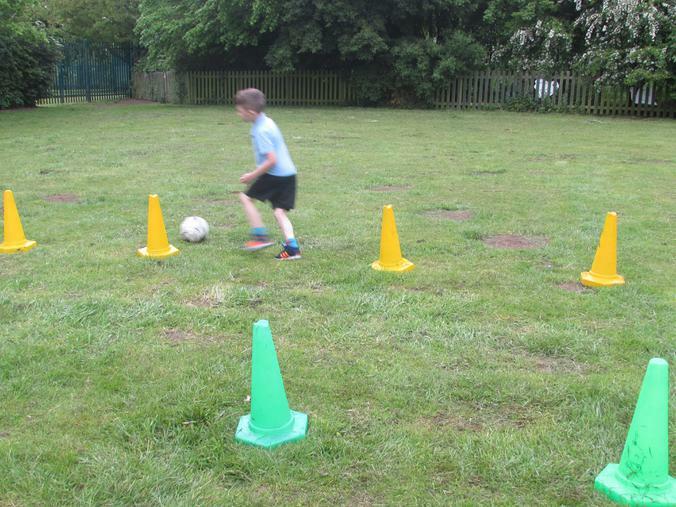 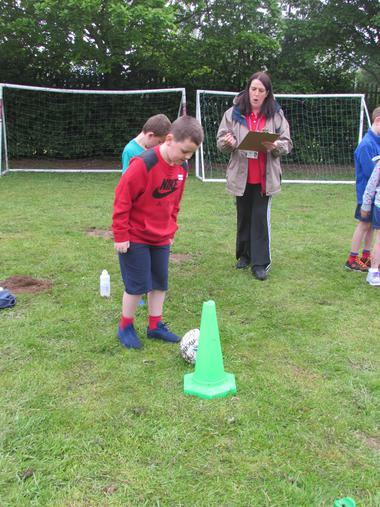 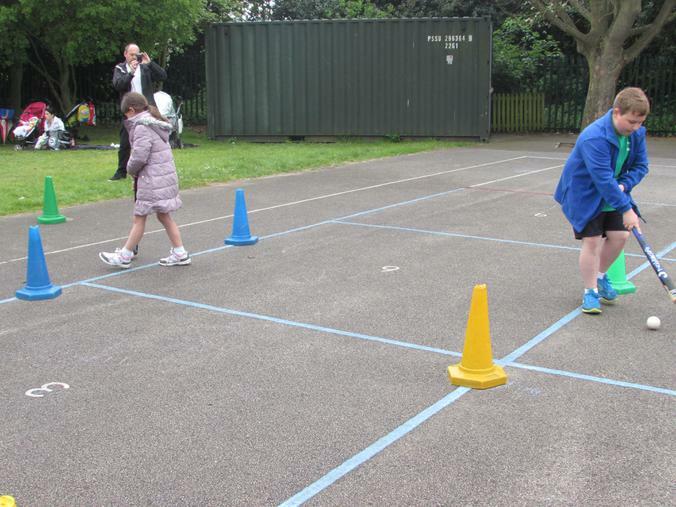 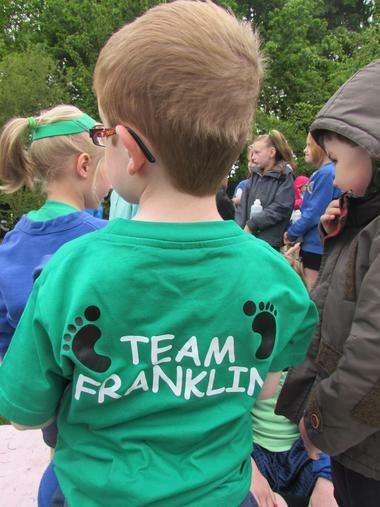 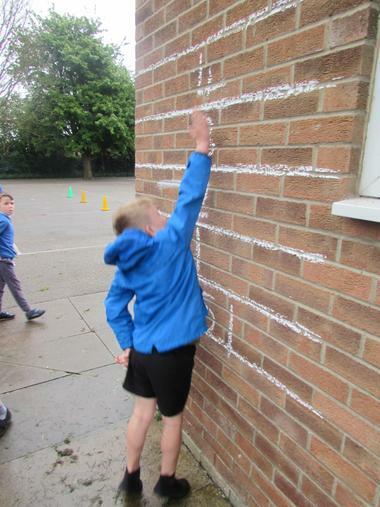 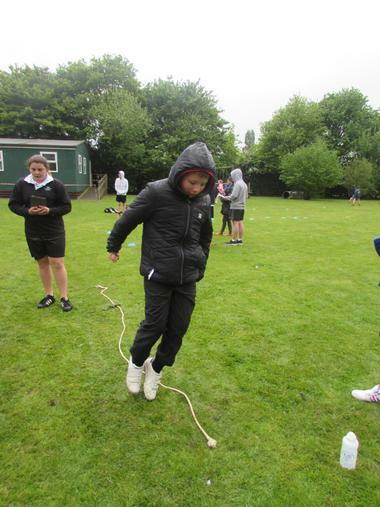 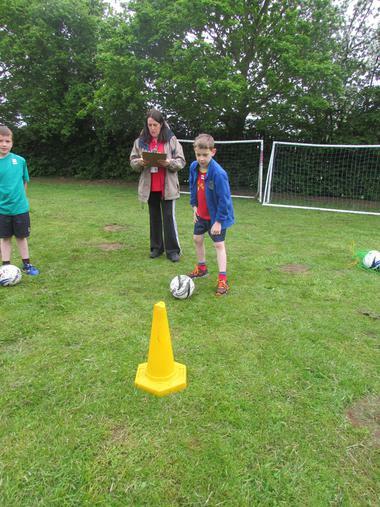 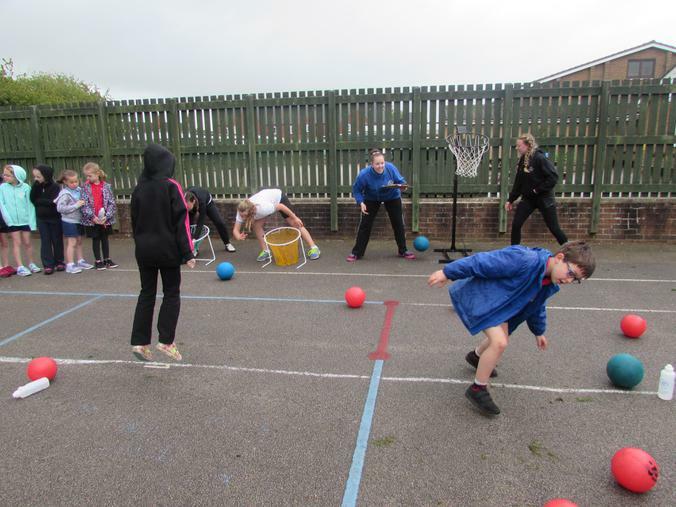 They had chosen three events they would like to compete in and earned points for their house teams. 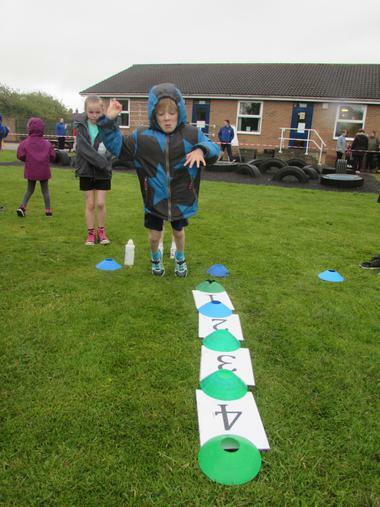 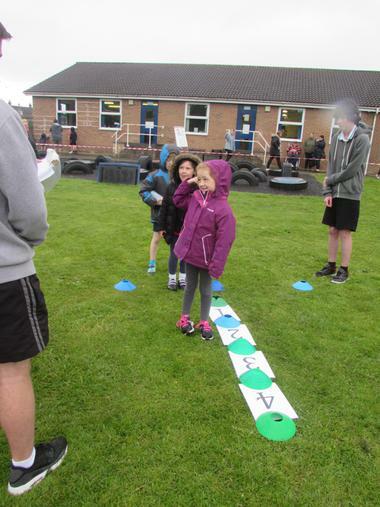 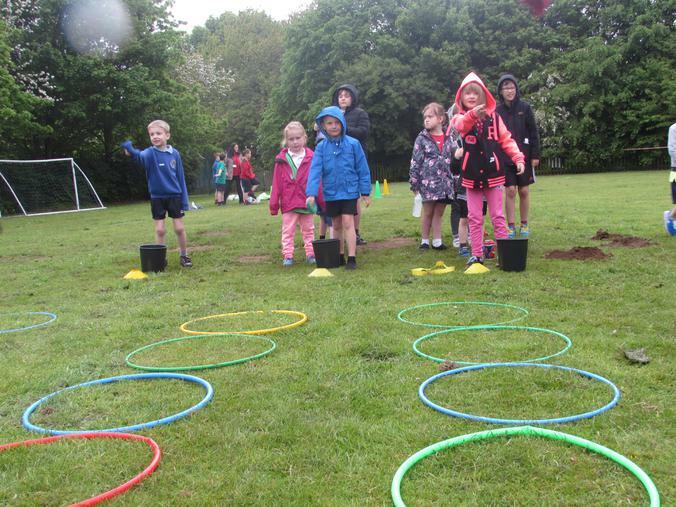 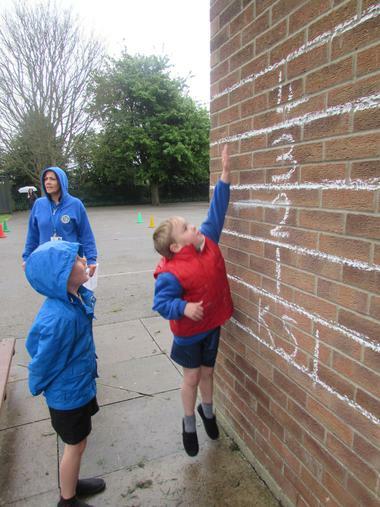 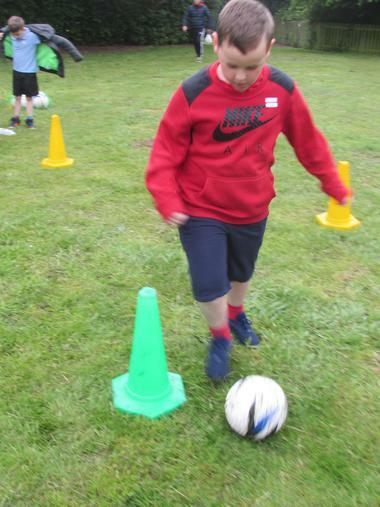 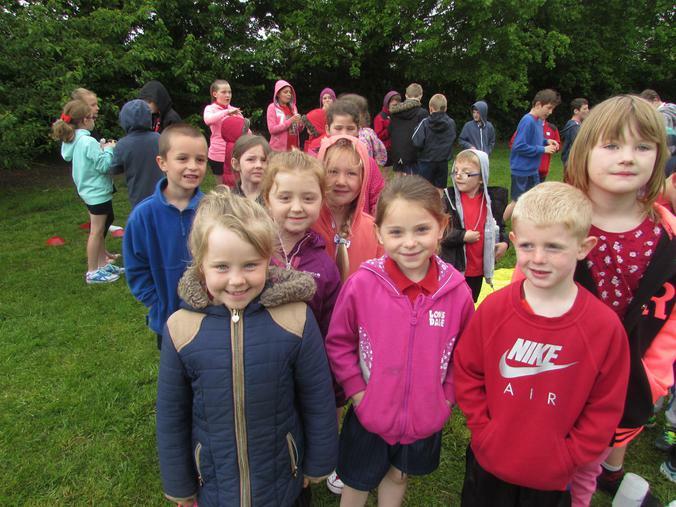 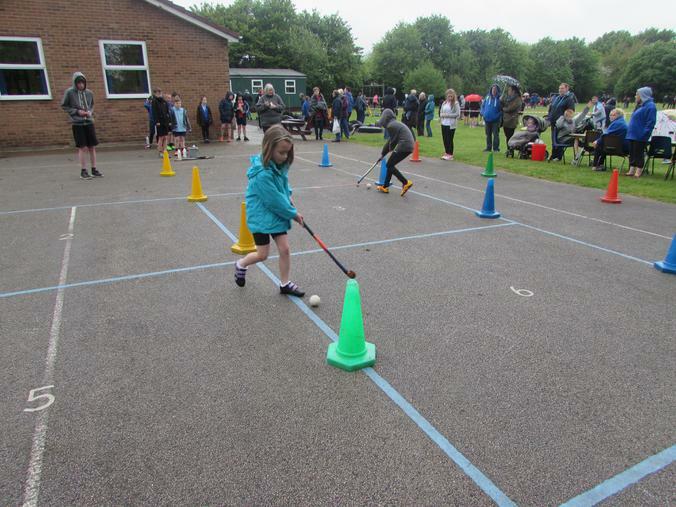 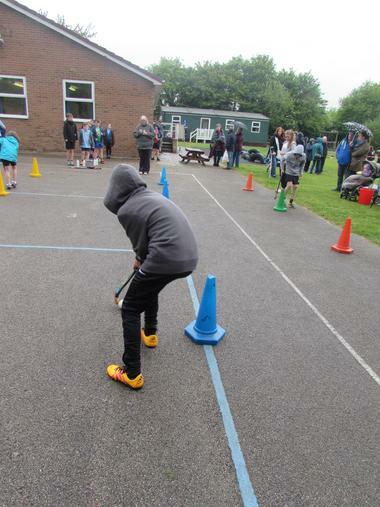 For a while the weather didn't put the children off and they thoroughly enjoyed the games, showing their competitive streaks! 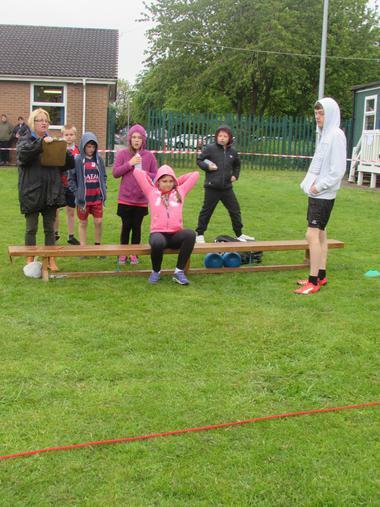 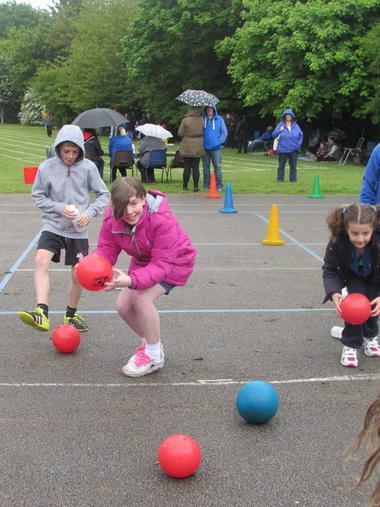 Unfortunately we were eventually beaten by the bad weather and had to postpone the afternoons track events. 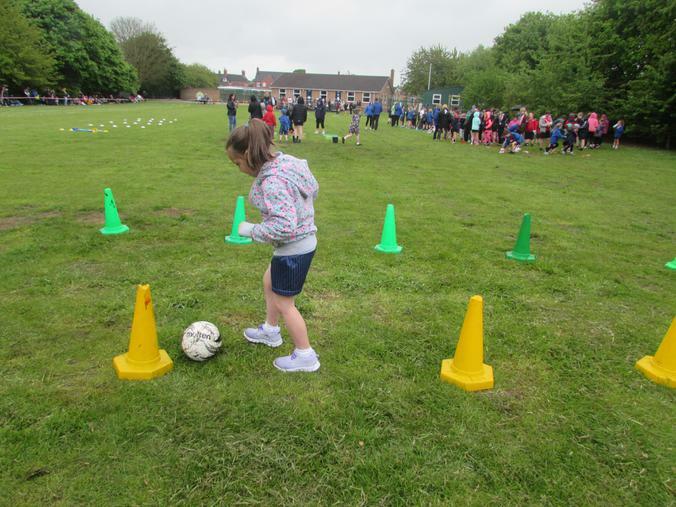 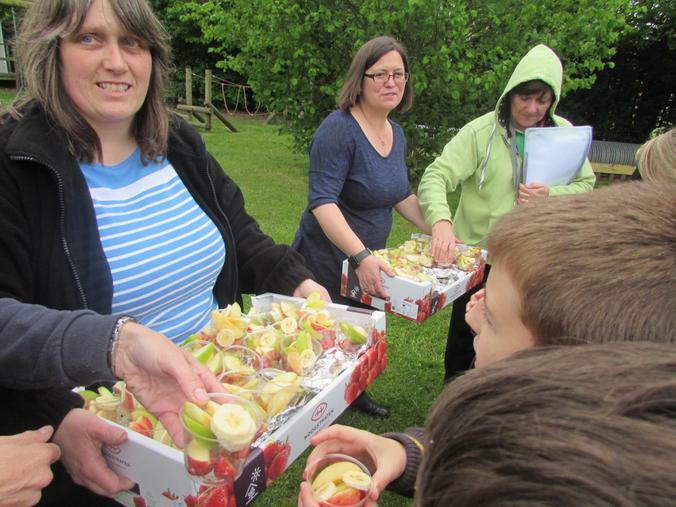 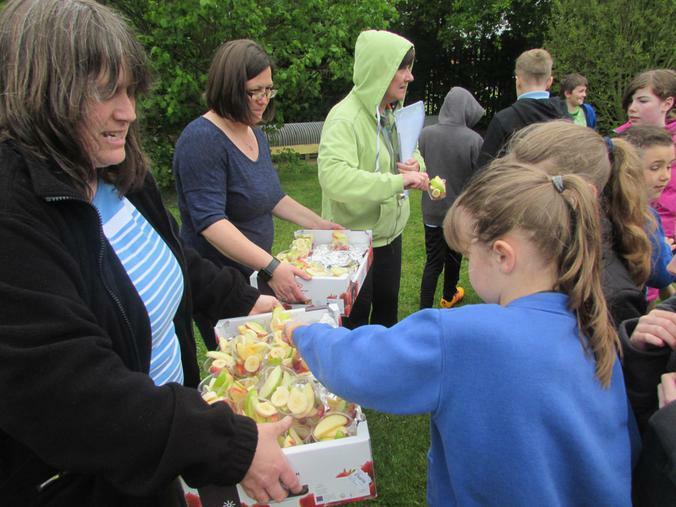 A big thank you to Mrs Roberts for all her hard work organising the successful event, to the students from KEVIA who came to help and to the parents and grandparents who came along to watch and support the children. 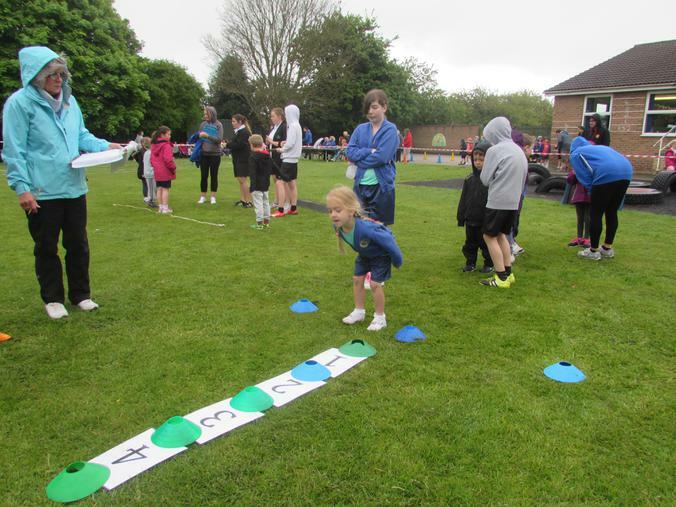 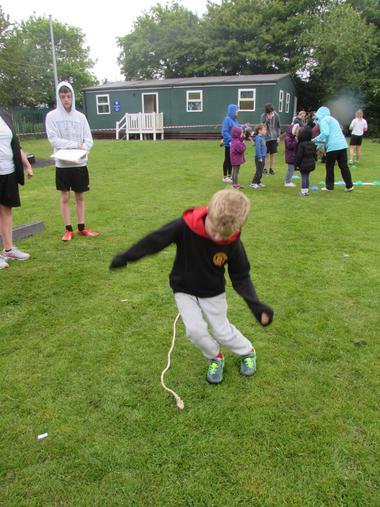 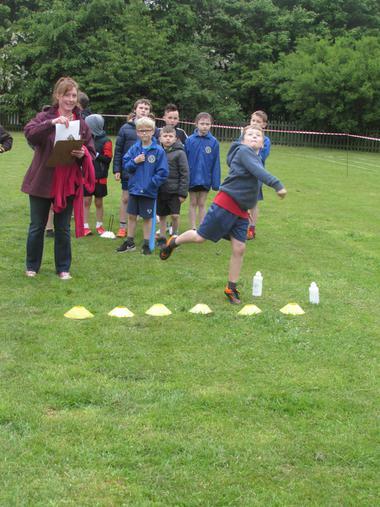 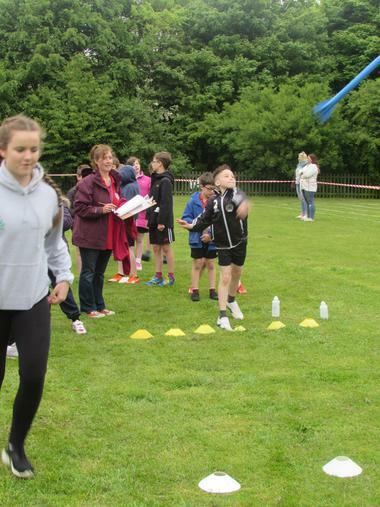 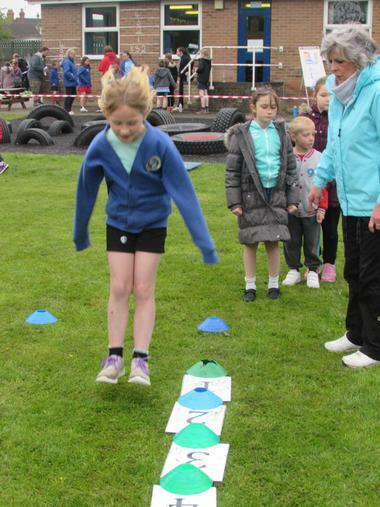 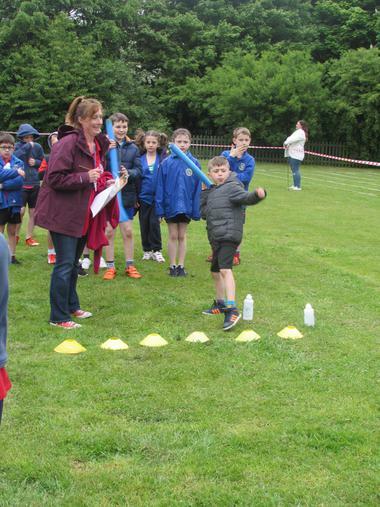 We are very much looking forward to the track events which are planned for the morning of Wednesday 22nd June, followed by a family picnic lunch. 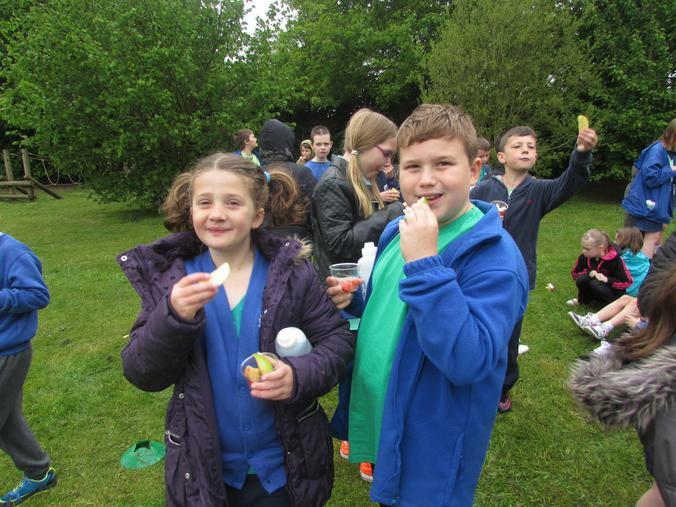 Let's hope for some warm sunshine!